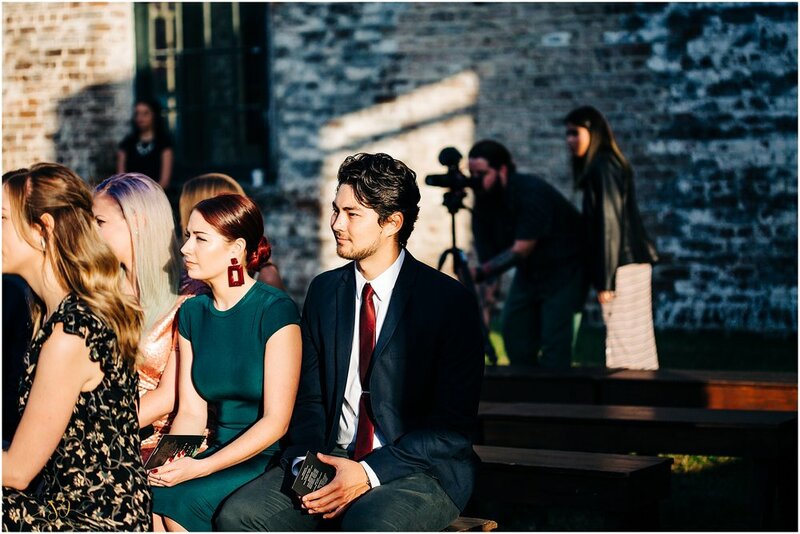 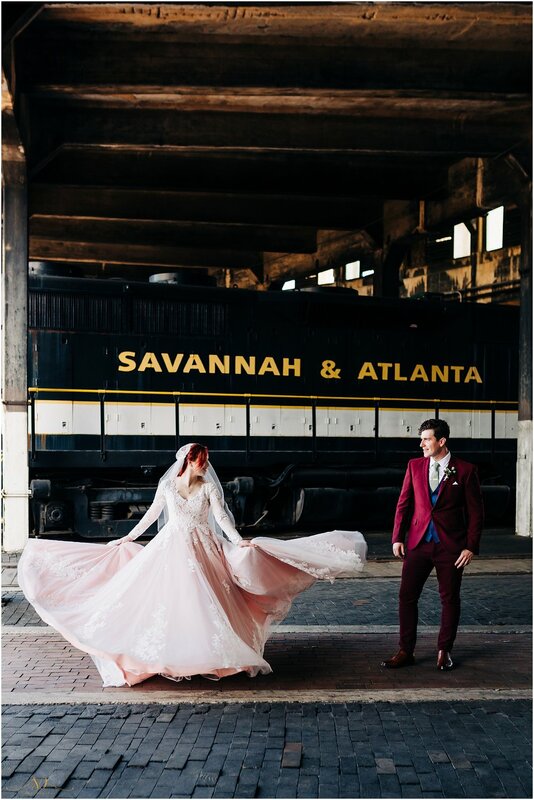 Hana and Eddie met and fell in love when they were both students at SCAD so it was only natural that they celebrated their marriage steps away from the school that brought them together. 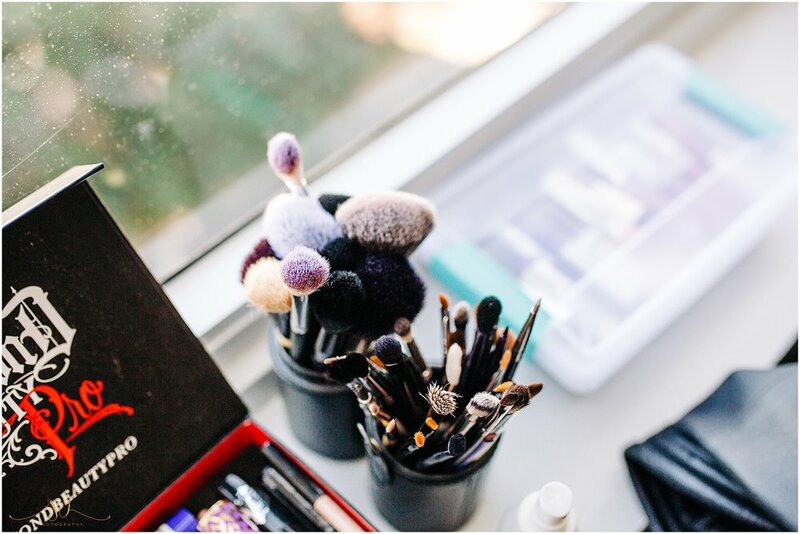 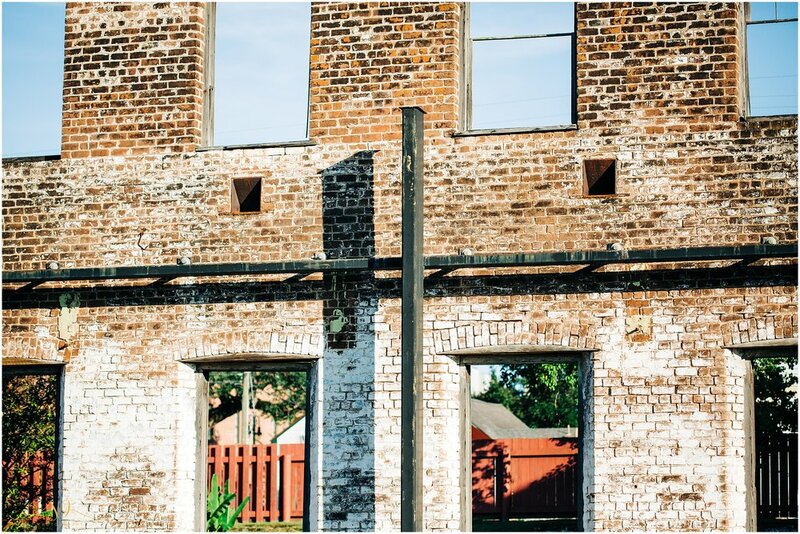 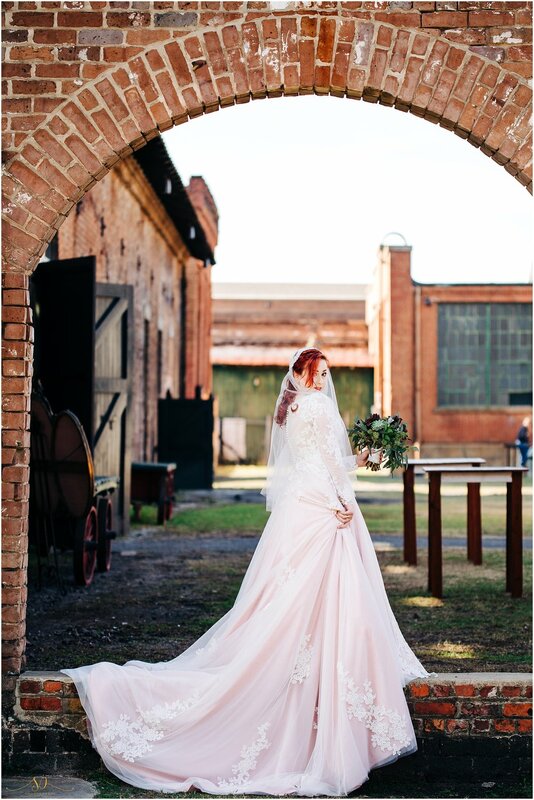 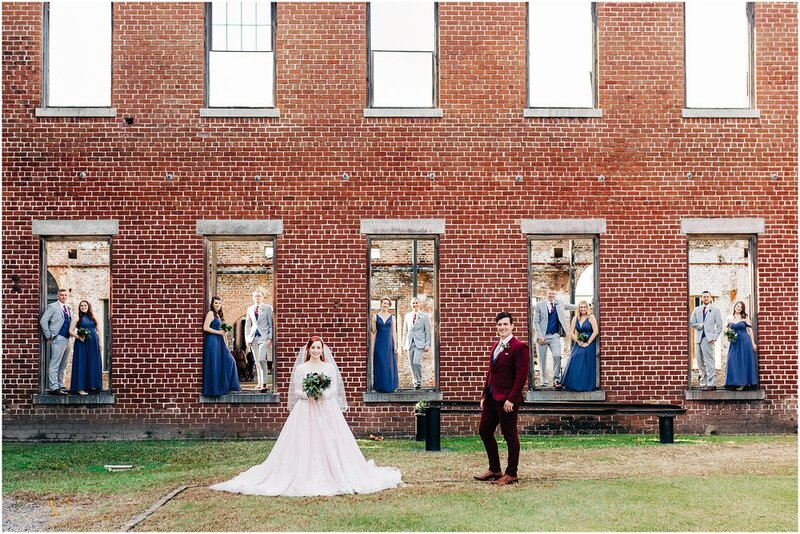 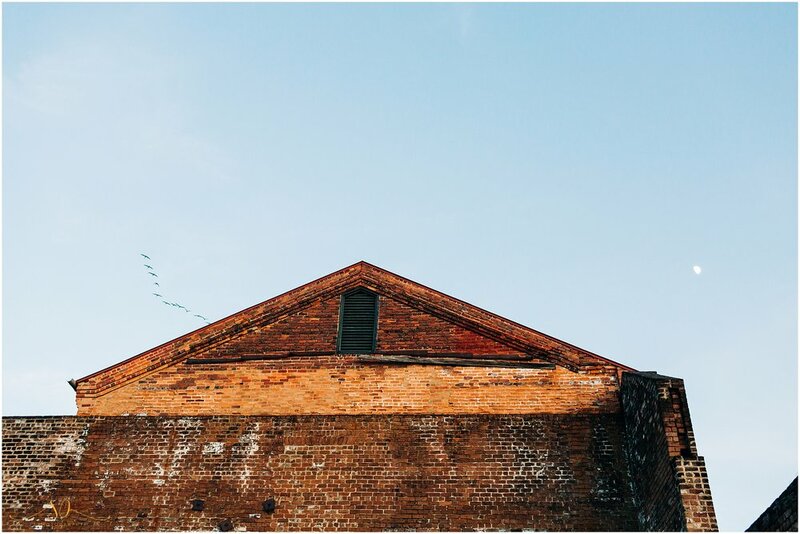 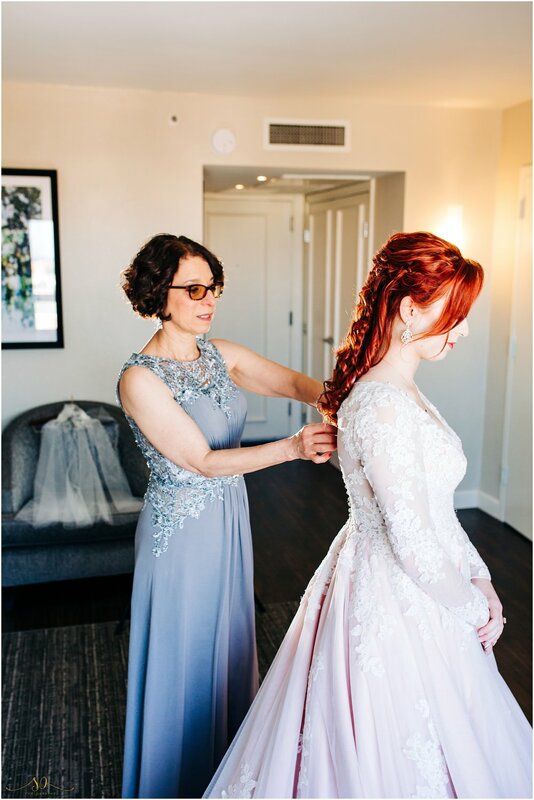 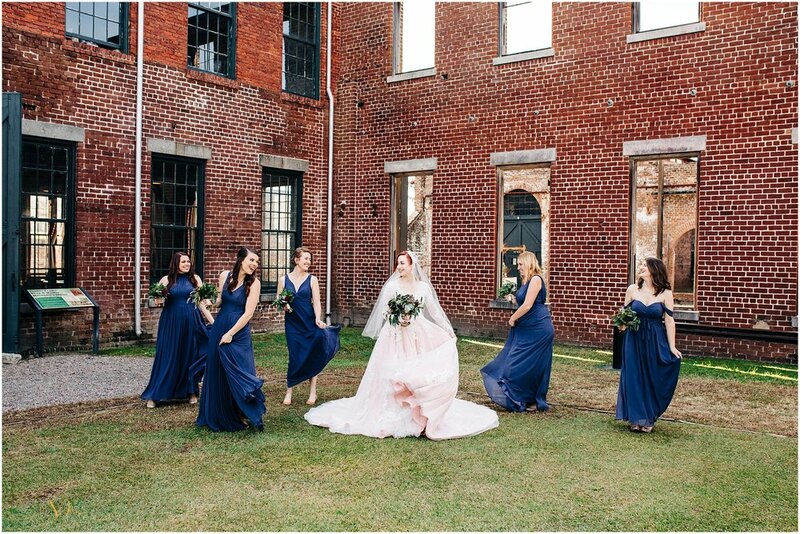 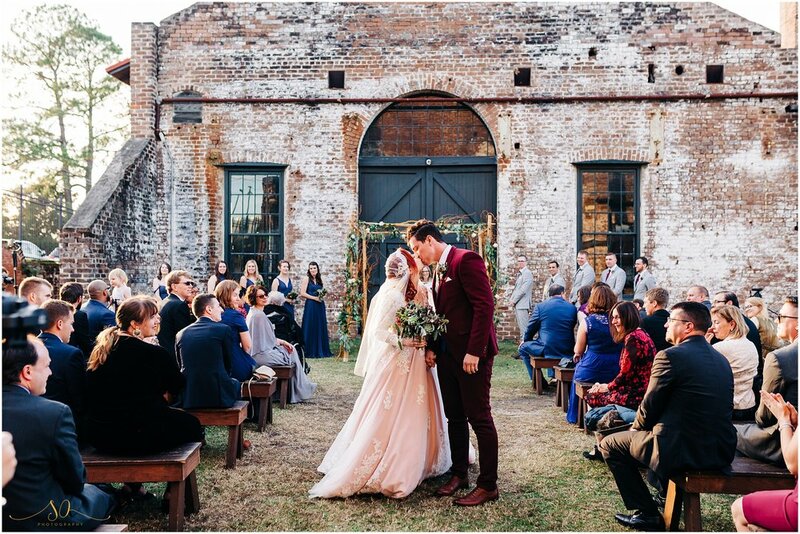 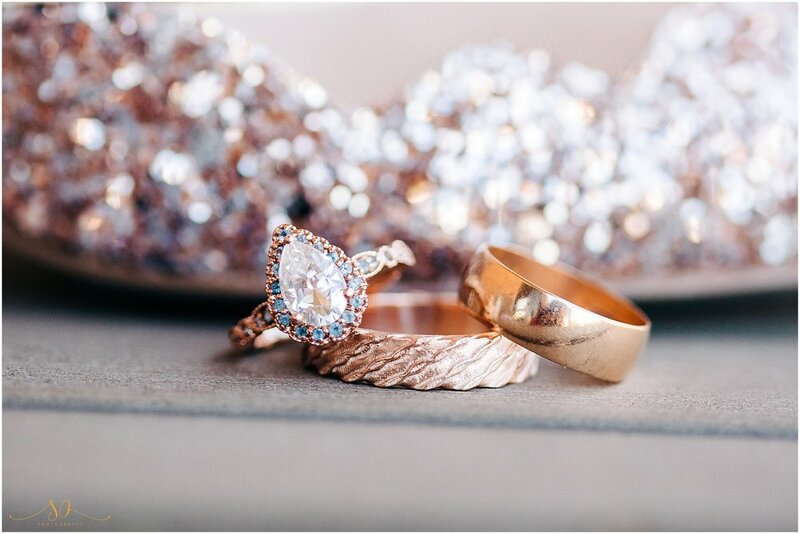 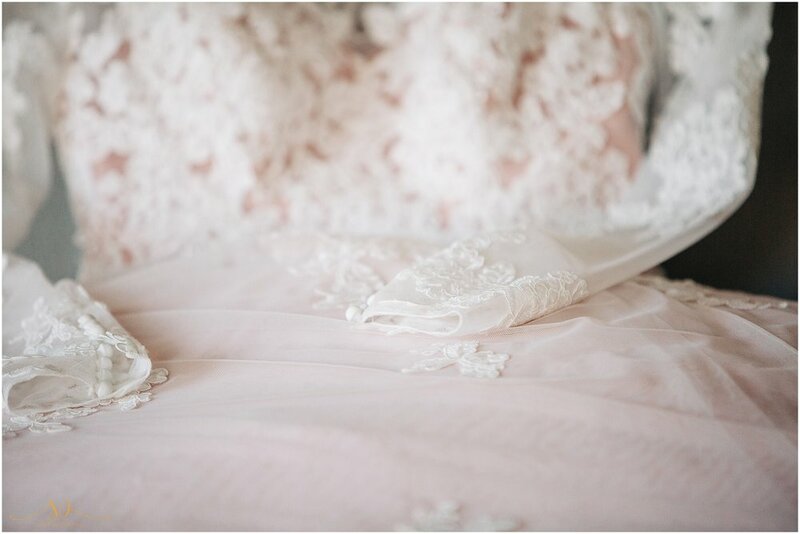 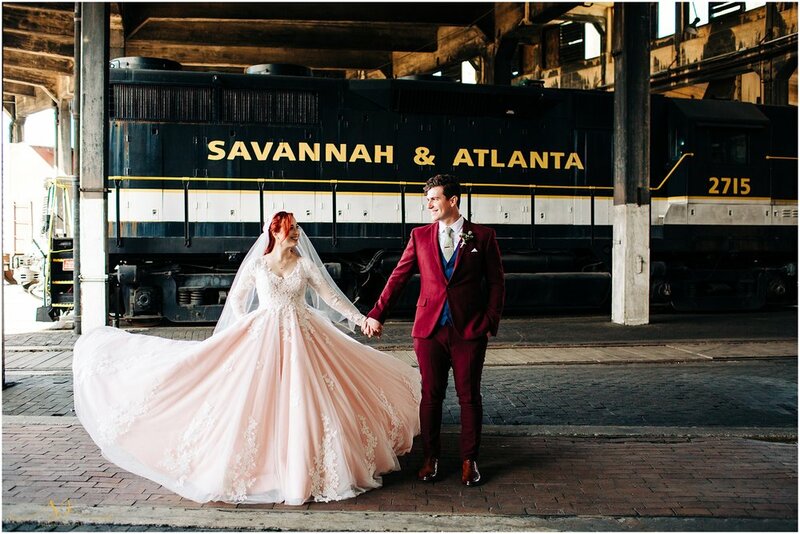 Their stunning Georgia State Railroad Museum wedding was everything a creative’s heart could every desire, and then some! 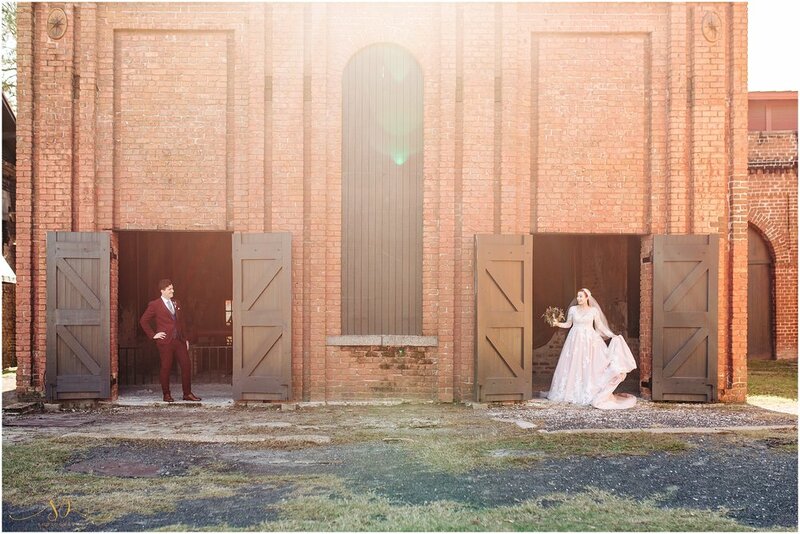 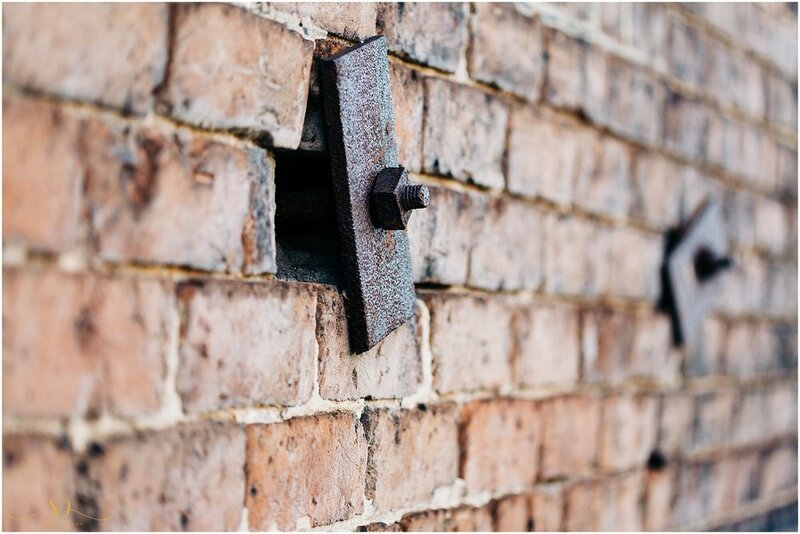 Inspired by “the Tim Burton movie Big Fish and its style of whimsy, magic, and quirk”, and the Museum was the perfect backdrop with the market light lined blacksmith shop. 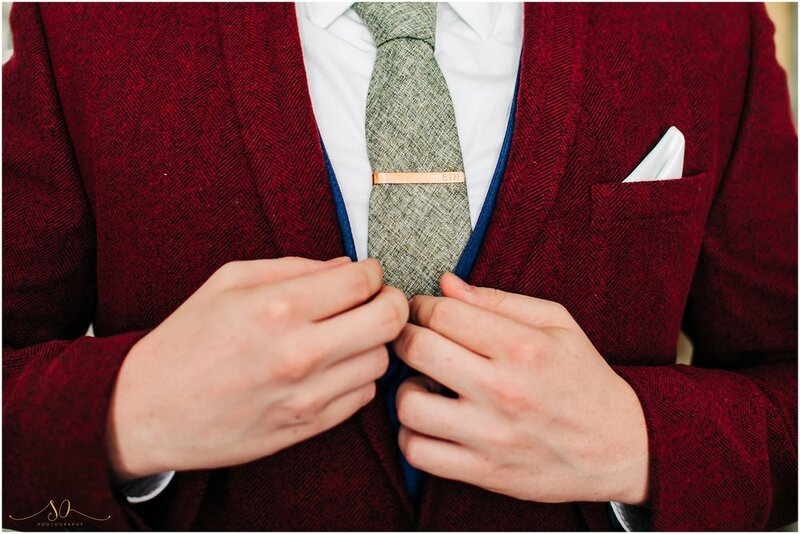 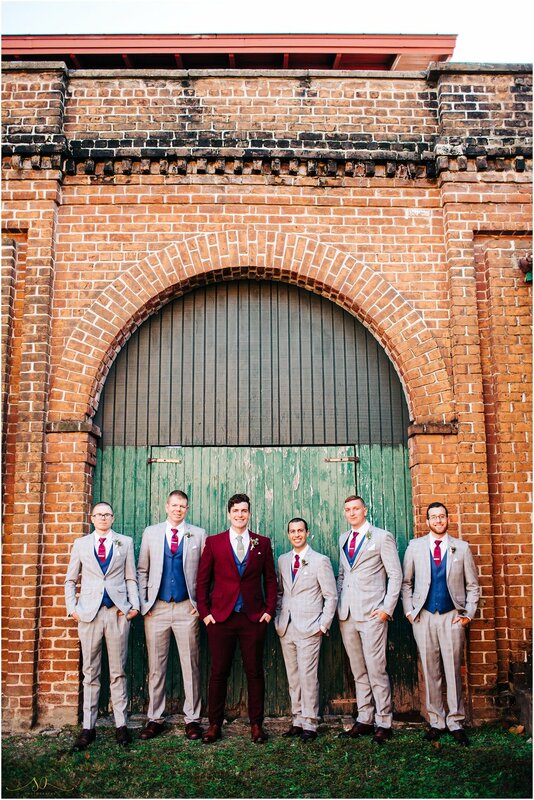 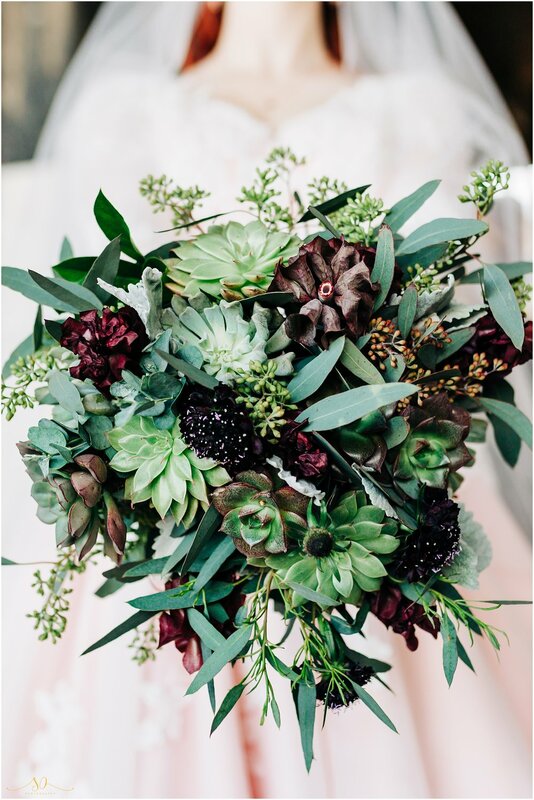 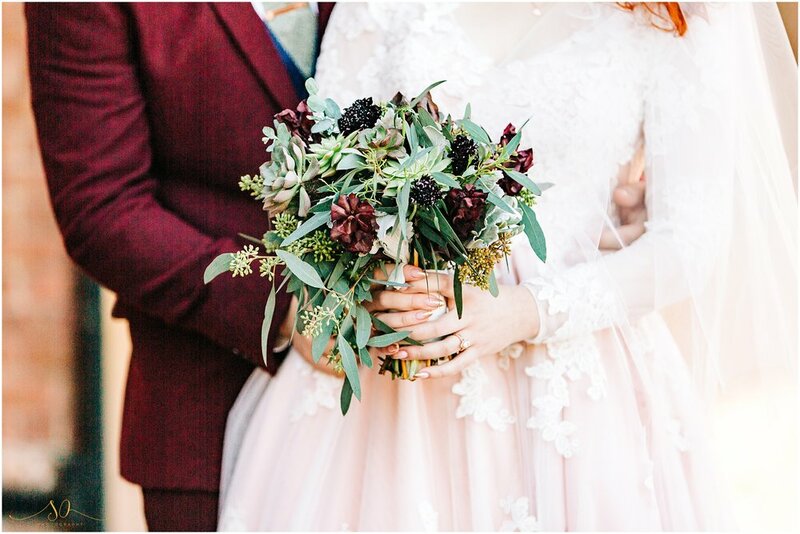 The pair were an absolute vision: Hana designed her own blush long-sleeved lace wedding gown and had it produced by Anomalie and Eddie dropped new groom goals in his sleek maroon ASOS suit with navy accents. 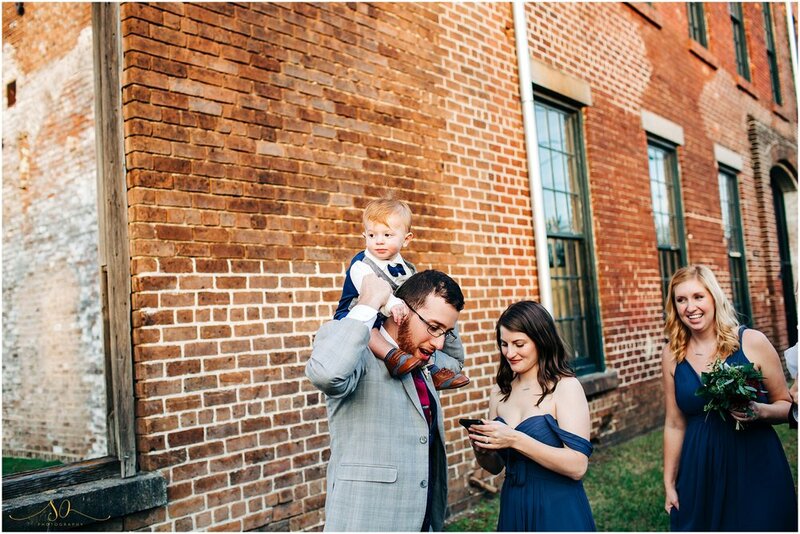 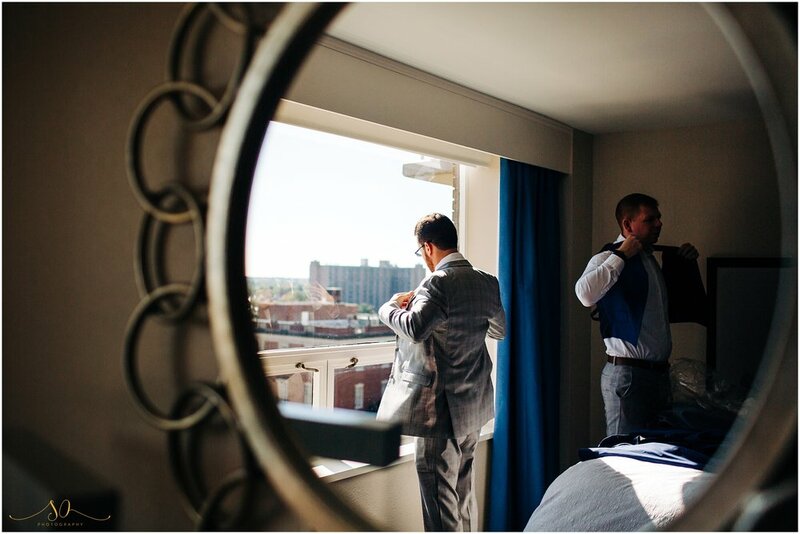 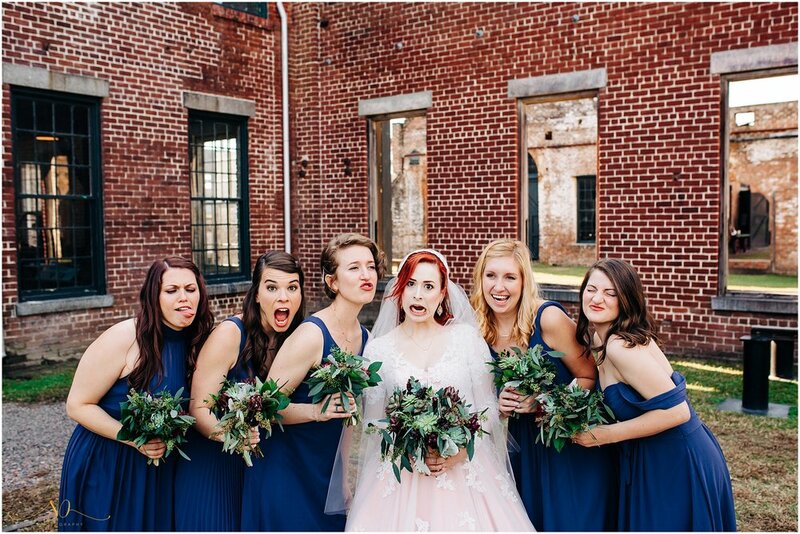 The morning of the wedding, they each got ready at the DeSoto Hotel, overlooking the heart of downtown Savannah. 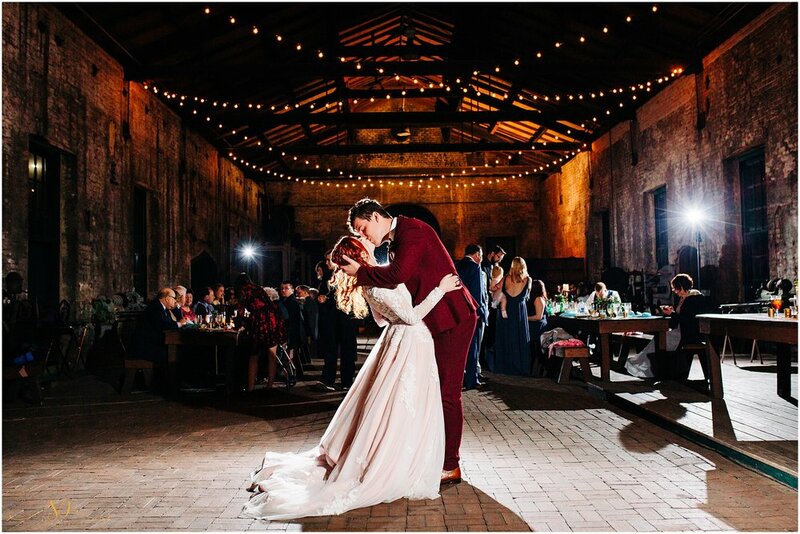 Hana and Eddie chose to do a first look, a moment that brought them calm and focus on being present in the moment. 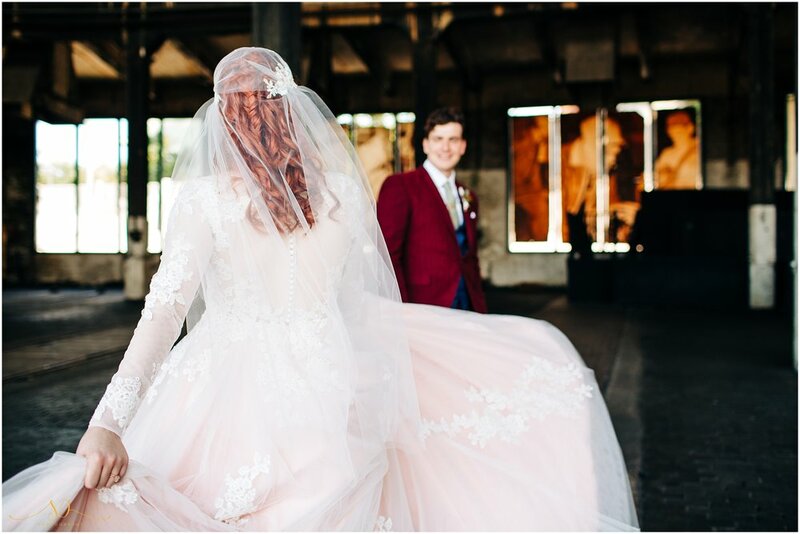 The moment that Eddie turned around to face his beautiful bride was EVERYTHING. 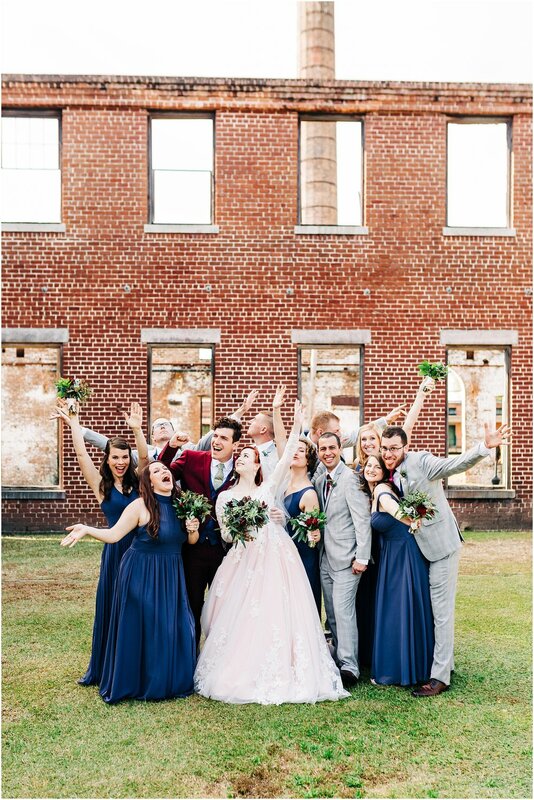 We spent the next glorious hour wandering around the property and capturing their portraits, as well as the formal party portraits (guess who got to enjoy cocktail hour? 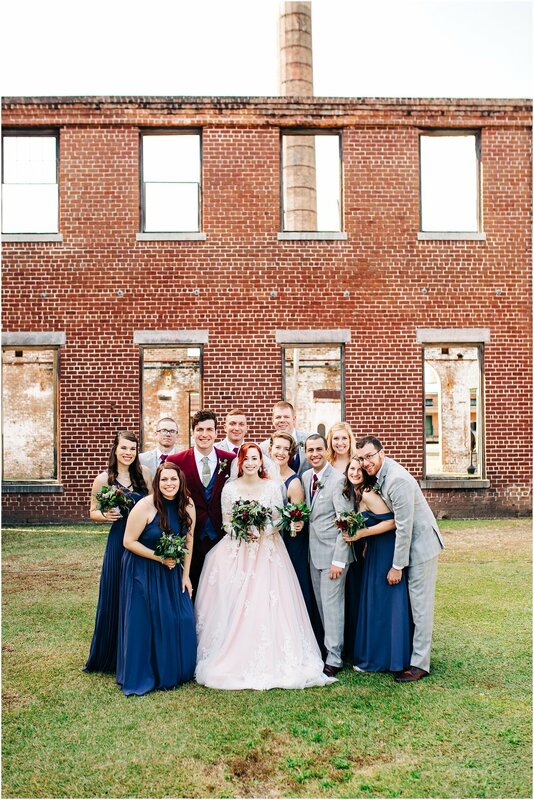 The formal party!). 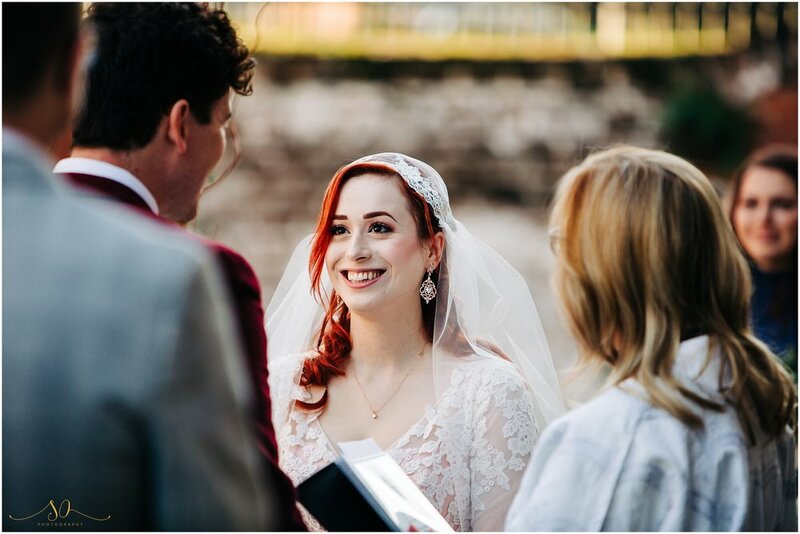 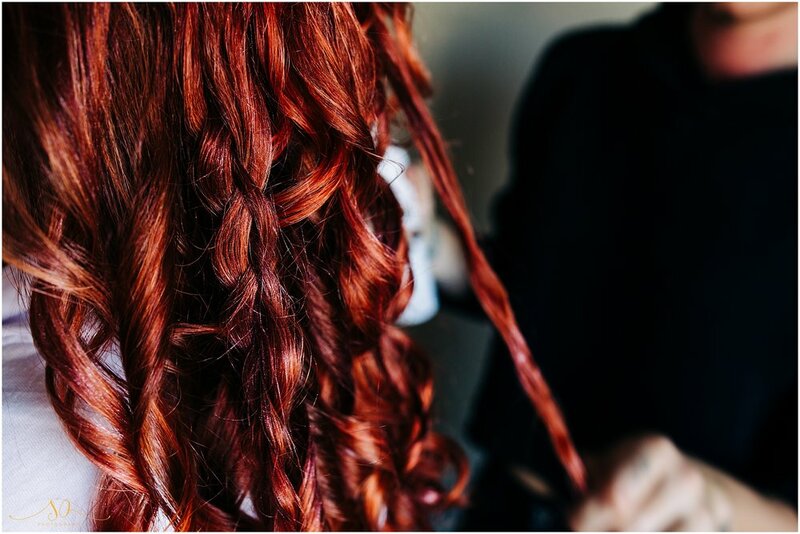 You’ll have an opportunity to see all of those further down in this post, but one of the major reasons that we made sure to incorporate a first look on their wedding day was so that Hana and Eddie could have a private traditional Jewish Ketuba signing. 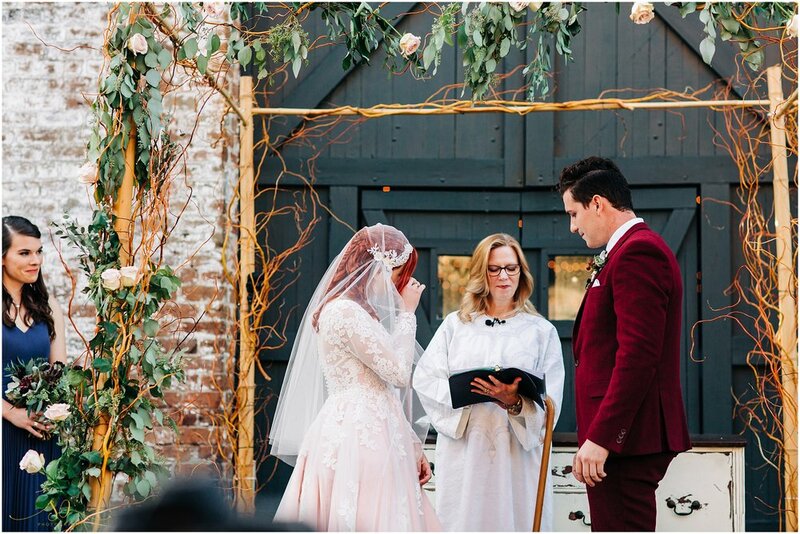 The ceremony on the lawn included many beautiful religious traditions, including amongst them a Kiddushin, the Seven Blessings, an Apache Wedding Blessing and the infamous breaking of the glass. 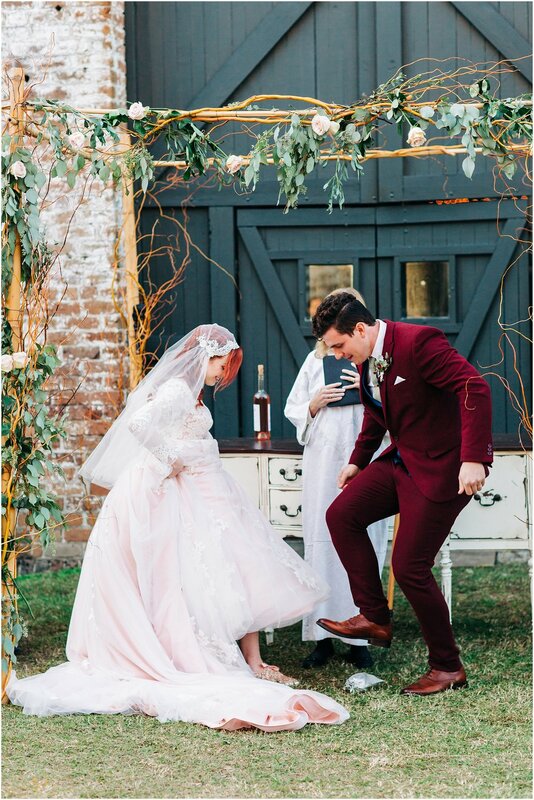 The ceremony ended up being the favorite moment of the day for both the bride and groom. 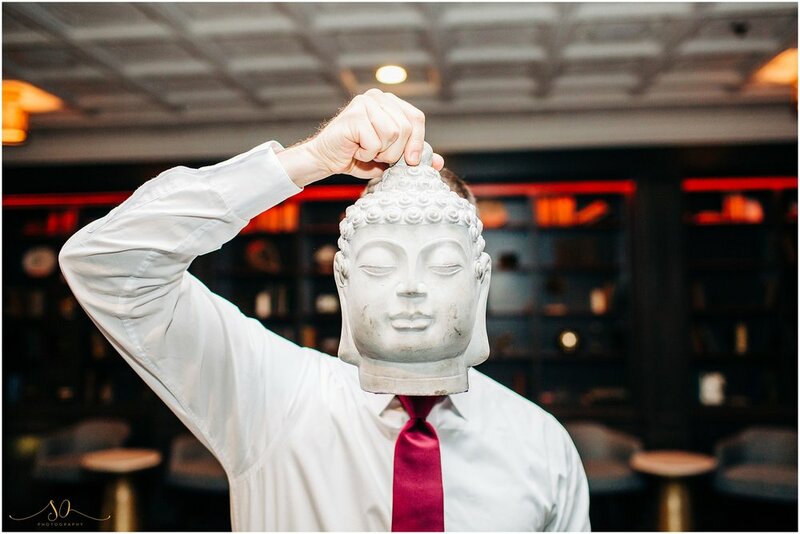 Now, about those formal party portraits… having extra time in the beginning of the day meant that we could get more creative with our shots. 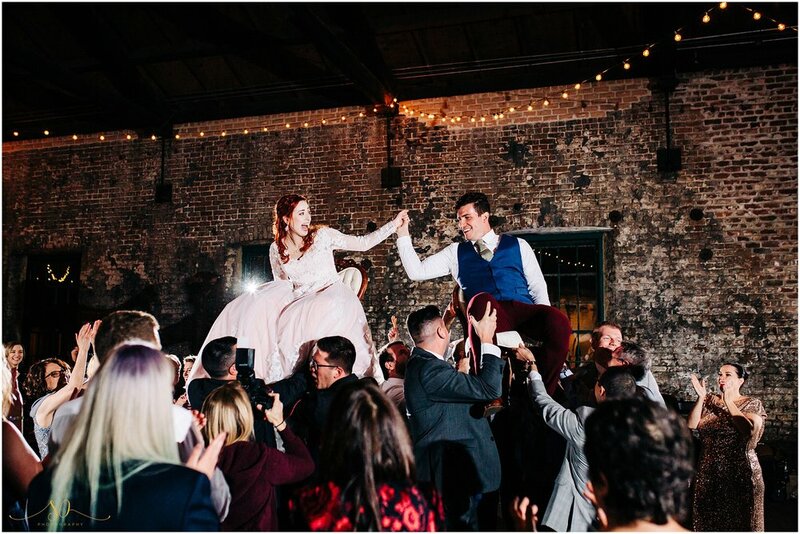 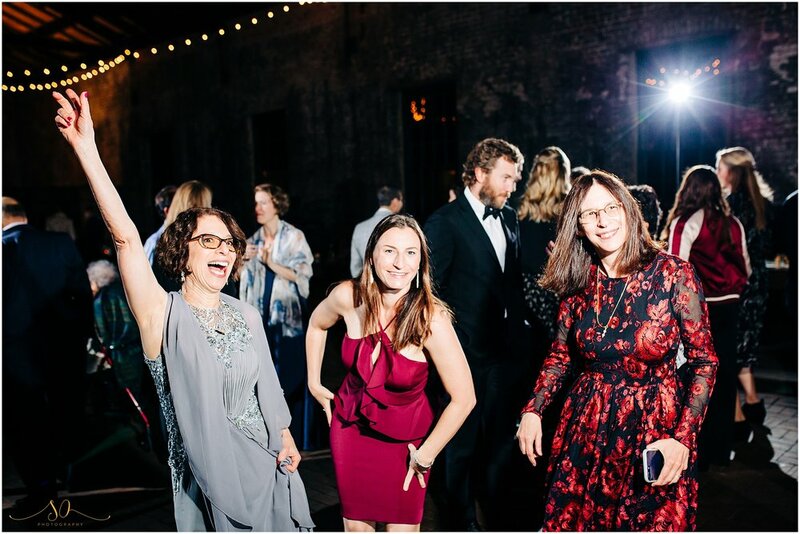 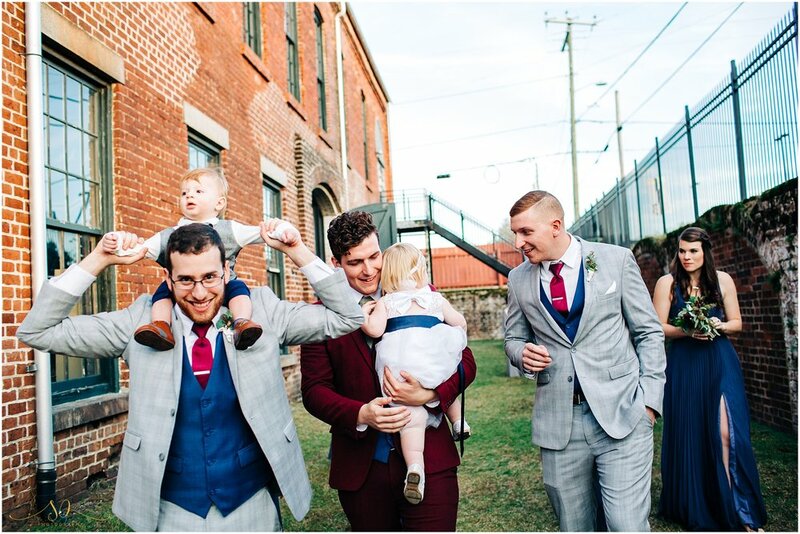 After such a glorious day, it almost seemed impossible that the reception could hold a candle to the beauty of the wedding day, but a choreographed first dance, great party, chair lifting, and a paper airplane exit are only some of the amazing highlights the evening still had left in store. 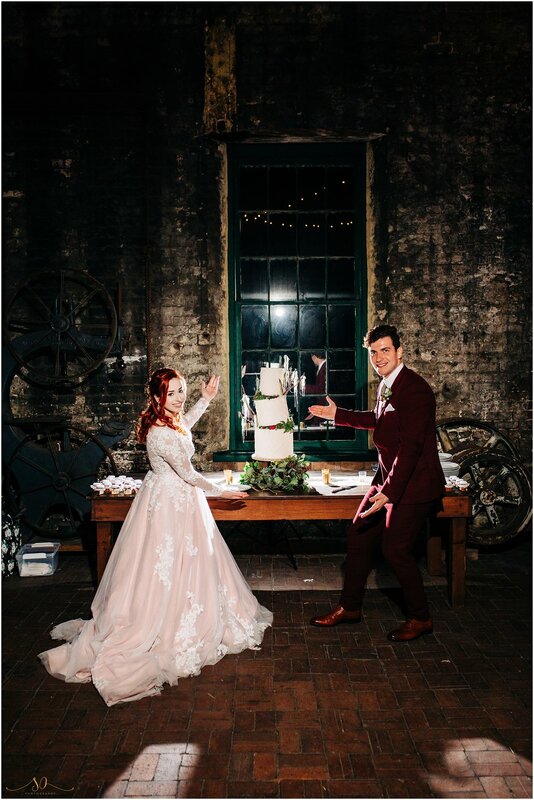 And that cake was out of this world! 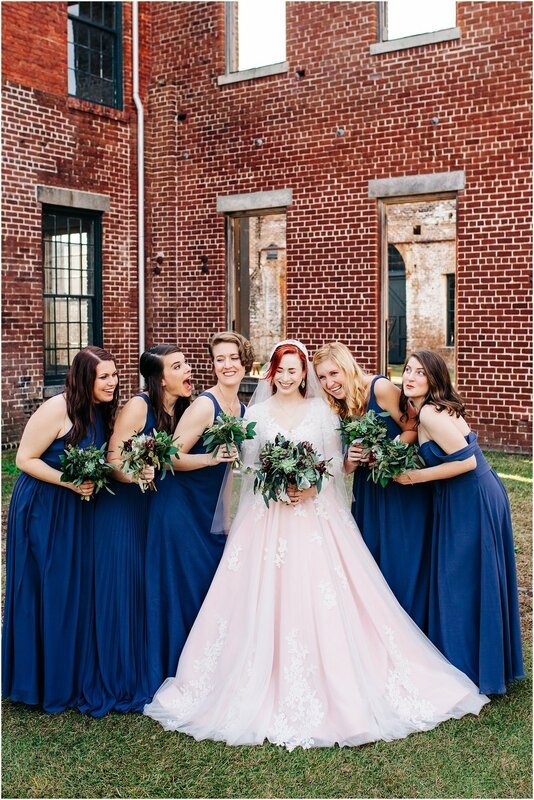 Hana said it was a “perfect embodiment of [our inspiration] ideas was our topsy-turvy cake with edible Spanish moss“. 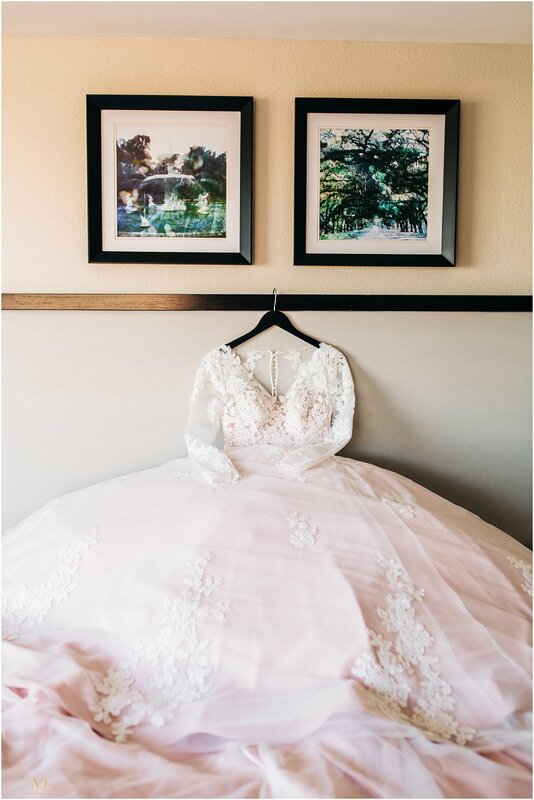 Sara Ozim Photography is an Orlando Wedding Photographer that serves the Central Florida region as well as Savannah, Georgia.